Let me share the legend of a Sally Newman, the woman later called “Mustang Jane” by her vaqueros. She was born in Illinois in 1817 to Rachel (nee Rabb) and Joseph Newman. Her parents followed her maternal grandparents through several states to eventually settle in southeastern Texas and become part of Stephen F. Austin’s “Old Three Hundred.” (Sorry if you’re not familiar with Texas history, but Stephen F. Austin’s 300 is a big deal here.) As a pioneer wife, Mrs. Newman was no stranger to conflict. On at least two occasions, she thwarted attacks from Comanche or Apache with quick and decisive action while young Sally watched. When Sally was sixteen, she registered the brand for the cattle she had inherited from her father. Although she registered the brand in her maiden name, she noted on the application that she was the wife of Jesse Robinson, a man eighteen years her senior. The alliance lasted for ten years. 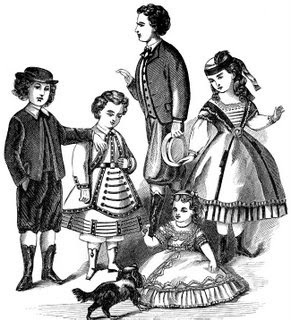 Custody of their children, Nancy and Alfred, was ceded to Jesse when the couple divorced in 1843. Sally kidnapped Nancy, but was forced to return her to Jesse. Sally’s luck with her second, third, fourth and fifth husbands was no better. She went by the last name of her second husband, Sally Scull. It was while she was married to George Scull (sometimes spelled Skull) that she developed her love for and interest in horsetrading. While she was losing husbands (with some speculation that she might have assisted a couple of them in departing this life), Sally was gaining a reputation for marksmanship. Whether in skirts or pants, she always wore two pistols belted to her waist and usually wore a bonnet. 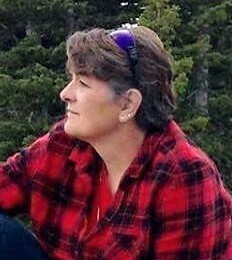 She was a dead shot with both pistol and rifle, in either hand. A tiny woman with steel blue eyes, she weighed 125 pounds at most. Her rough language was notorious, and she spoke Tex-Mex as well as if it were her native tongue. When she wasn’t traveling alone, she rose in the company of several Mexican vaqueros. She roamed the wide territory between the Sabine River and the Rio Grande, making her headquarters at a small settlement called Banquette, about twenty miles west of Corpus Christi. The vaqueros who worked for her and other Mexicans who knew her called her “Juana Mestena,” Mustang Jane. She could outshoot any of her ranch hands, roped and rose with the best of them, and could drive a herd better than any of the wranglers in her employ. Horsetrading was her primary business, a profitable one, and often under questionable circumstances. After a trip into Mexico, she always returned with a nice herd of stock, yet her money belt was still full. Sally knew all the ranches in the area. Ranch wives sometimes hinted that while Sally made eyes at the menfolk, her vaqueros were busy cutting the best horses from the herd. There were also rumors that she had assistance from the Comanche. 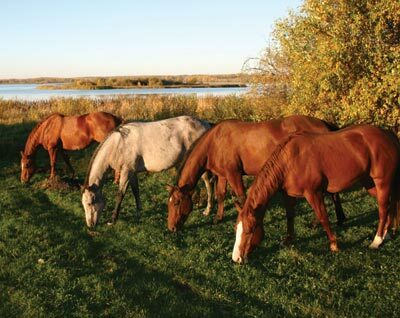 If Sally admired particular horses and the owner refused to sell, Comanche raiders mysteriously visited the ranch shortly after Sally’s departure. No one ever caught Sally in possession of a horse for which she couldn’t show rightful ownership because she never let anyone inspect her herd. Sally worked hard and played hard. She was an avid poker player and her favorite haunts included Old St. Mary’s Saloon at Copano Bay, Pancho Grande’s in Corpus Christi, and several places in Refugio. She attended many a fandango due to her love of dancing. Can’t you imagine her dancing while wearing those two pistols belted around her waist? During the Civil War, Sally’s knowledge of the southern Texas backcountry served the Confederacy. Union forces blockaded Texas ports, stopping all shipments from England. The United States could not block ports south of the border, so Mexico’s ports were open. Sally sold her stock of horses, bought wagons, and turned her vaqueros into cotton haulers. 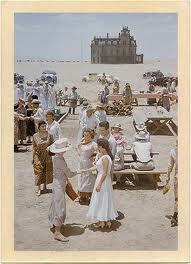 Her wagons became a common sight on the roads from San Antonio to Matamoros on what became known as the Cotton Road. Cotton was traded in Matamoros for guns, ammunition, medicines, coffee, shoes, clothing and other goods vital to the Confederacy and need by inland Texas settlements. When the war ended in 1865, Sally sold her wagons and resumed the horse business. Sally had little to do with her son, Alfred, who lived with his father and stepmother and their eight children on Ramerania Creek, about fifty miles northwest of Corpus Christi. No one knows what happened to Alfred Robinson. Nancy and her mother were closer. Sally sent her to one of the best boarding schools in New Orleans. Nancy returned to Texas, married, and lived up to her mother’s dreams. They were close until one visit when one of Nancy’s family dogs growled at Sally and she shot the dog. Women rancher, horse trader, champion "cusser". Ranched NW of here. In Civil War Texas, Sally Scull (or Skull) freight wagons took cotton to Mexico to swap for guns, ammunition, medicines, coffee, shoes, clothing and other goods vital to the confederacy. Dressed in trousers, Mrs. Scull bossed armed employees; was sure shot with the rifle carried on her saddle or the two pistols strapped to her waist. 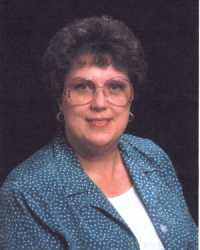 Of good family, she had children cared for New Orleans School. Often visited them. Loved dancing. Yet during the war, did extremely hazardous "Man's Work". Fire Eyes is always going to be the “book of my heart”—most special to me for several reasons. By the end of my writing career, it may not be said that it’s my best work, but it will always remain the most memorable, because it was my first one. I know e-books are the wave of the future, but I’m old fashioned. I love to hold a real book in my hands and read from paper. And when that first box of print books arrived at my doorstep, I was elated. I can’t tell you how long I sat and fondled the books as I took them out of the box. BEAUTIFUL! My husband wondered if I was going to “rub the paint off” the covers. But there is nothing to compare with receiving your first box of YOUR OWN BOOK and opening it up—the smell, the feel , the excitement of finally bringing your story to life for others to enjoy. Writing Fire Eyes happened by accident. I had written a much longer “saga” type novel, Brandon’s Gold, and had queried for it. I received several letters of interest back from agents, finally settling on one that I thought would be a good fit for me and for my book. His first question to me was, “Do you have anything shorter?” Through other responses received from my queries, I knew that Brandon’s Gold was far too long for a first novel; far too long to be commercially viable, so I wasn’t surprised. I had already started working on another novel after finishing Brandon’s Gold. 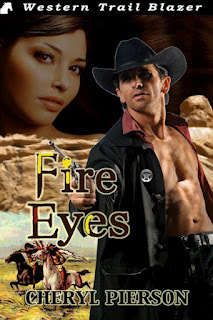 But halfway through that second novel, the idea for Fire Eyes occurred to me. I set my WIP aside and started writing Fire Eyes instead. The story of Marshal Kaed Turner and Jessica Monroe unfolded quickly, but as I wrote it, I couldn’t keep from developing subplots that I feared would eventually make it too long, as well. Finally, I gave myself permission to just write the story and get it polished enough to send it out. 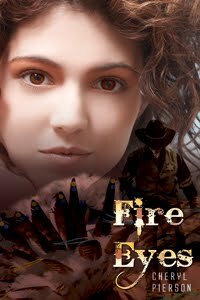 Eventually, Fire Eyes was contracted through The Wild Rose Press. 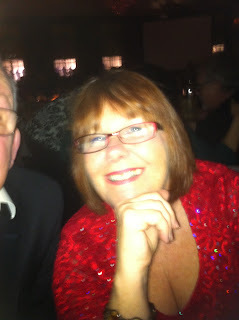 I had a wonderful editor there, Helen Andrew, who literally made my dream come true. We worked on that manuscript and cut and edited until I sometimes wanted to cry. She really explained in detail why certain things couldn’t stand and had to go or be changed. But the end result was wonderful, and it couldn’t have happened without her. A lot of very hard work had gone into that story, not just from my perspective, but also from many other people who were involved in one way or another. 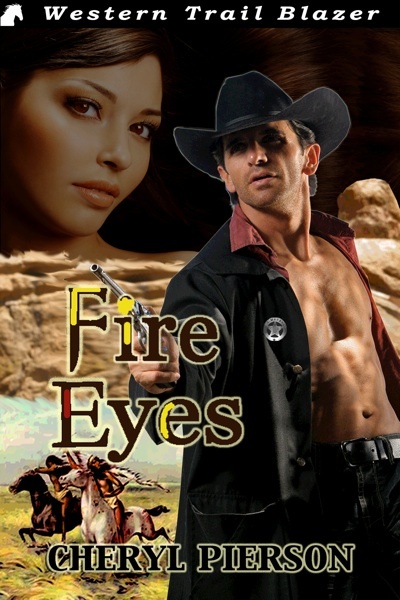 Fire Eyes was a 2010 Epic Award Finalist, and received many wonderful reviews, including a 4 star review from Romantic Times Magazine. It also received the “Reviewers Top Pick” award from PNR reviewer Karen M. Nutt. Three years later, in April of this year, I asked for my rights back to Fire Eyes. I loved that story, but I wanted to put it out the way I had written it in the beginning. It was a great story, even with the edits, to be brought out in the TWRP romance line. But part of what ‘had to go’ for the TWRP guidelines was important to the story, in my mind. There were company guidelines to be followed when Helen and I had worked so hard three years ago to make it ‘fit’, and neither of us could change that. So we’d worked together to find a way to take out the parts that made it more “western” than “romance” and still came out with a fine story. But I wanted to put it back together again, like I’d intended. I submitted the story to another small publisher who has an imprint for westerns and western romances, WESTERN TRAIL BLAZER. I was able to re-edit the book and add in much of what I’d had to take out or rewrite in the first version. It was released again, May 15, just three years shy of my first release date, with a brand new Jimmy Thomas cowboy cover and lots of renewed interest. Sony and Apple, as well as many other e-book retailers. The print version is also available at Amazon and Barnes and Noble, among other retailers. I’m very happy about breathing new life into this wonderful story. I’ve ordered my print copies, and I sat on the floor and ‘rubbed the paint off’ again when they arrived. And I’m so very grateful that I’ve had two chances to get my story out there—another thrill, a second time around! Future plans for Fire Eyes? Evidently, many of my secondary characters in that story have piqued interest and requests for those characters to have their own stories. One of the younger deputy marshals, Travis Morgan, intrigued me so much I felt the same way! He needs his own story…and he’s going to get it. In Fire Eyes, Travis has been mentored by Kaed Turner, the main character of the story. He’s learned a lot during the time he’s been riding with Kaed, but he’s still relatively young and pretty arrogant. The more I thought about Travis, the more I wondered about where he’d come from and why he’d decided to become a U.S. Federal Deputy Marshal in the first place—it was a thankless job; dangerous, and not well-paying. Why would he do it? And what would ever make him give it up, once it became the way of life he was familiar with? A WOMAN, OF COURSE! And one that he never suspects will steal his heart. That’s what will be coming up in the sequel to Fire Eyes. I’ve also written another book, Gabriel’s Law, that I’m still looking for a publisher for, that has Travis as a character as a young boy, so we can see where he came from and gain a bit of insight into his character and the man he becomes later on. Marshal Kaed Turner is given a rare second chance at love with the mysterious woman the Choctaw call “Fire Eyes.” But can he quiet the ghosts from his past and protect the love that was stolen from him once before? There’s only one way: Kill outlaw Andrew Fallon, along with the murdering band of men he leads. THE SET UP: Marshal Kaed Turner has been deposited on widow Jessica Monroe's front porch by a band of Choctaw Indians with orders from the chieftain: "Do not let him die." But can she save him? He's been severely beaten by a band of renegades that run the borderlands between Arkansas and Indian Territory. The last man they brought to her doorstep died. What will become of Marshal Turner? Can she save him? The bath could be put off no longer. Kaed lay quietly, watching Jessica's nervousness. "Jessi." When she looked at him, his bones liquefied. She wanted him. All question of how the night would end were answered as their eyes met and held over an achingly sweet moment. Jessica sank her teeth into her lower lip, her fingers moving to the tiny row of buttons at the front of her day dress. She slowly began to work them open. "Kaed, would you, um, I mean, well, I need to get my bath now." "I suppose that means I need to at least turn my head." His mouth was dry. It was hot in the cabin all of a sudden. "Uh-huh." She kept right on unbuttoning the buttons, caught in his gaze. "And close your eyes." Yeah, well it wouldn't matter if he did. He'd still see the picture she burned in his mind as she stood there opening those buttonholes. Her fingers hesitated at the button just above the rich swell of her breasts. Kaed wet his lips, not turning his head or closing his eyes. "Kaed?" Her voice was a husky whisper. That made him close his eyes. The sound of his name on her lips had him imagining doing all the things that a man did with a woman. All the things that were soon to come. God. The heat was unbearable. "Huh?" He slitted his still-swollen eyes open and saw she had released that button and moved down to the next one. He gritted his teeth. "Turn…your…head." A teasing smile played about her mouth, as if she knew exactly what he was thinking, what he was imagining. Turning away would be a good thing right about now. If he could only persuade his neck to cooperate. "Yeah. Okay." He turned his face toward the window. Sort of. Kaed sighed, frustrated. "I know." It was the one thing she might've said that would have kept him true to his word, that part about trusting. He couldn't betray that. "I've gotta move slow. Hurts." "Don't—" The dress whispered to the floor. "I won't," he gritted, the words bitter in his mouth. OH MY! I wonder what happens after that bath? WOULD YOU BE A MAIL-ORDER BRIDE? 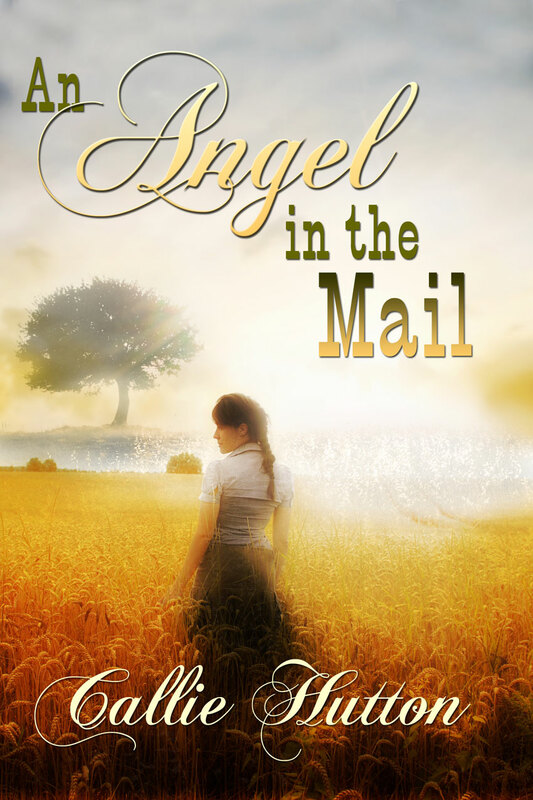 In AN ANGEL IN THE MAIL, my heroine, Angelina Hardwick, is surprised to discover her deceased father’s estate is penniless, and her step-mother has arranged for Angel to be a mail order bride. To a man with five children! Having spent her entire life being catered to by servants, to say her new life was a shock, is an understatement. During my research for this story, I found a book called HEARTS WEST by Chris Enss. The book relates true stories of mail order brides on the frontier. These women were brave, or in some cases, desperate. 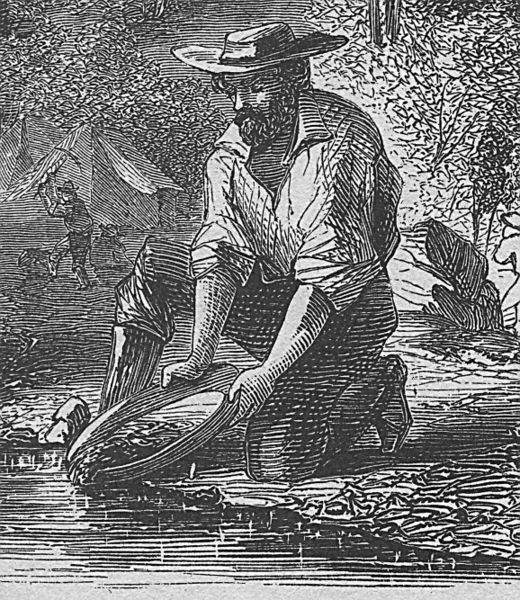 The lure of the gold fields depleted the number of marriageable males in so many cities in the east. These men missed female companionship. Most of the camps and quickly-sprung-up towns had their share of brothels, but many men longed for more than a quick tumble. They missed the idea of the comforts of home that only a wife could provide. And children to pass on the land they worked so hard to cultivate after they gave up on striking gold. So began the practice of advertising for women to travel west to marry a stranger. I often think of how it would feel to leave everything you’ve known your entire life, and travel to a strange part of the country to meet a stranger that would be your husband. I’m sure that time period had its share of unsavory men, just as today. Although in romance, we make the hero strong and handsome, the heroine pretty and loveable, I imagine in real life that didn’t necessarily work out that way. 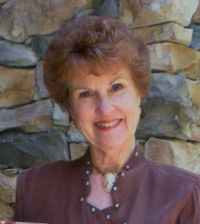 One of the stories in HEARTS WEST tells is of a woman whose stagecoach was held up on the way to her new home. One of the bandits had an unusual tattoo on his hand. She was dismayed to find out at her wedding that her new husband had the same tattoo on his hand. She backed out. Smart girl. What about you? We put so much stock today in being ‘in love’ before we would consider marriage, how would you feel about marrying a stranger? My first love is being a mom. Second, reading, which naturally segued into writing–for me, anyway. I’ve been making up stories since elementary school, and writing gave me a way to turn off the voices in my head. I’ve had a number of articles and interviews published over the years, and about two years ago, decided to put it to the test and write a book. 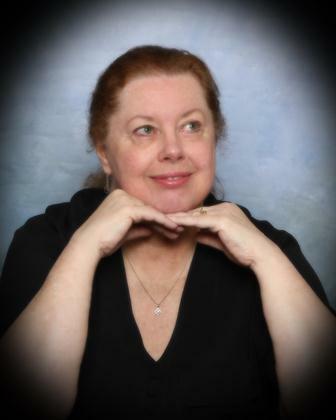 Three of my Historicals have been published by Soul Mate Publishing. A RUN FOR LOVE (Oklahoma Lovers #1), and it’s first sequel, A WIFE BY CHRISTMAS (Oklahoma Lovers #2), and AN ANGEL IN THE MAIL. In October, book number three of my Oklahoma Lovers Series will be released from Soul Mate Publishing, A PRESCRIPTION FOR LOVE. Although I’ve lived in several states, Oklahoma is where I’ve hung my hat for the last several years, but I hail from New Jersey. I’m an Okie-Jersey girl. And proud of it. 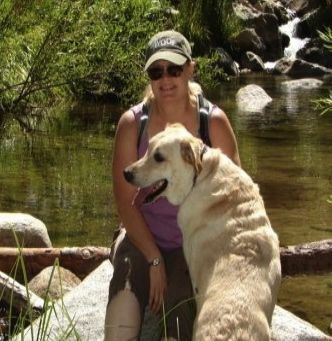 I love my animals, two rescue dogs and a rescue cat, as well as my son’s dog who is temporarily living with us—along with my son. My daughter, Anna, still lives at home while she works on her Law Enforcement degree at Oklahoma State University. Add to our group my hubby of thirty-five years, and things are always hopping. You can catch me hanging out at Facebook, Twitter- @CallieHutton, and my home base, www.calliehutton.com. Stop by sometime and say hello. The gold rushes of the 1800’s spurred immigration, migration, settlements and businesses of all kinds in several areas of the United States (and the world). Gold mining actually proved unprofitable for the majority of miners and mine owners, however a few became extremely rich by it, and that was enough to keep men and women dreaming and searching for the mother load. Merchants and transport companies made huge profits and often mines that were lucrative enough, expanded to include these other services, therefore double and tripling the money they made. 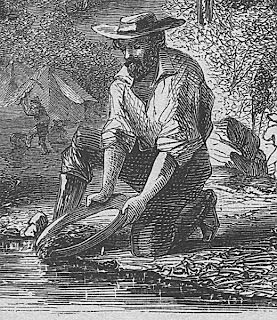 Mines were often started by an individual panning for the gold. A simple process of washing the gold out of the sand and gravel with a ‘pie pan’ shaped wash basin. Once it was determined there was significant findings, the individual would set or file a claim and perhaps build a sluice box or rockers, and most likely hire or partner up with other miners. Though the investment at this point was relatively minimal, the work was hard, usually too much for one man to handle. The gold in the stream beds would usually be gathered rather quickly, leaving the miner to search for the vein that had fed the creek bed findings, or move on. When searching for the feeder vein, more men would be needed to tunnel into the earth, find and transport the ore. Here more capital was needed as well and miners often sold out their claim to larger operations who’d then oversee the extraction of the ore, delivering it to stamp mills, where they’d crush the large rocks, and eventually to the smelters where the gold would be extracted from the other telluride minerals. Sometimes these minerals proved more valuable or plentiful than the gold. Many once gold mines evolved into silver mines, or even lead, zinc, or copper mines. Though many advertisements lured folks to the gold mines with promises of nuggets lying on the ground like apples falling from trees, that was far from the case. Mining towns of the old west were some of the roughest places, Tombstone, Deadwood, Telluride. In many of those places it wasn’t the miners causing trouble, it was those striving to ‘make it rich’ by relieving the miners of their hard-found gold. 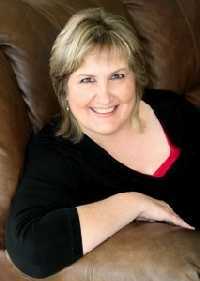 In March of 2013 Inheriting a Bride will be released by Harlequin Historicals. The story is about Kit Becker who travels to Colorado to claim the gold mine she’d inherited from her grandfather. There she not only meets Clay Hoffman, her grandfather’s partner, but learns family secrets that tear her apart. I dedicated that book to Chris Ralph, a man I will most likely never meet in person, but after I stumbled across his blog, he and I conversed through email and phone conversations, and he taught me more about gold mining than I could have ever hoped to learn. 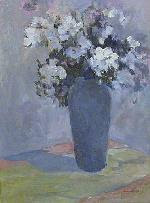 Earline Barnes oil painting "Floral"
It isn’t just about love. The title of my blog this month can apply to many things. It could be a favorite home, a vacation spot, a park, a beach, or anywhere. It could apply to a comfortable chair, bed, etc. It could be a beloved object of some kind, a piece of china that belonged to your family, or grand parents, or someone close to you, or that you’ve seen somewhere. It could be a book, or characters in a book, or a setting in a book. It could be a movie, or a play, or someone who entertains you. It could be a painting, a sculpture, or anything. What gives you that sweet old familiar feeling? I’m thinking about books, stories, and characters today. I love to read romances, stories with a happily ever after feeling. I’ve read lots of romances over the years that I’ve been reading romances. I’ve read single title romances that don’t have characters which continue in a similar story in a follow-up book, and I’ve read series romances which have returning characters along with new characters in all of the books in the series. The setting stays pretty much the same too. But I have to say that for me it’s the returning characters that give me that sweet old familiar feeling. You know that feeling. When it comes to books, the feeling makes me want to curl up in my favorite chair with a cup of coffee or a soda, and some chocolate, and settle in to read for hours. I feel like I know the characters in the story, and I know how they’ll react. It’s a warm fuzzy feeling that makes me comfortable, like I’m returning to a favorite place I’ve enjoyed before. It’s as if I can take a deep breath, because the characters are people I know and love. They’re good friends within the pages of a story, and I know how they will behave. It’s a good feeling. Have you had that sweet old familiar feeling while reading? Since I discovered that I like to read series stories with returning characters, I’ve decided to write series stories. I want to give readers of my stories that same sense of the sweet old familiar when they discover characters they’ve known and enjoyed in previous stories I’ve written. Do you have a favorite series that gives you that feeling? I have a new novella coming out July 25, next week, that is part of a new series I’m writing. The series is Hondo, Texas Wolves, and this novella is the second book in the series. It’s titled "Guardian of Her Dream." You can find it at Siren BookStrand Publishing, under my author name, Claire Adele. I wish you stories to curl up with and read. 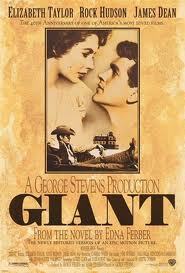 Giant is a 1956 American film made from a screenplay taken from the novel by Edna Ferber. 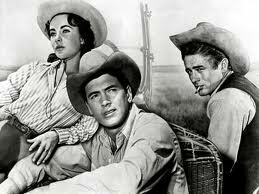 The film stars Elizabeth Taylor, Rock Hudson, and James Dean. Featured roles were played by Carroll Baker, Jane Withers, Chill Wills, Mercedes McCambridge, Dennis Hopper, Sal Mineo, Rod Taylor, Elsa Cardenas, and Earl Holliman. In 2005, the film was selected for preservation in the United States National Film Registry by the Library of Congress as being "culturally, historically, or aesthetically significant." The outdoor scenes are the topic of the post. 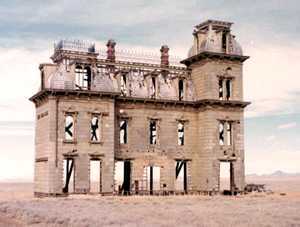 They were filmed on the Evans Ranch in West Texas. Who owned it? Who was in the cast from the local population? These questions came up around 1980 when my husband and I took a road trip with Robert and Susan Pruett, and Bob and Carolyn Goss, all of from San Marcos, Texas. The six of us traveled in the Goss's new van. I remember being on the Evans Ranch, and seeing the skeleton framework that remained when the movie was finished, about thirty years before. Robert Pruett gave us a narrated tour of the area. His family was heavily involved in the filming of the outdoor scenes. Let me introduce him. 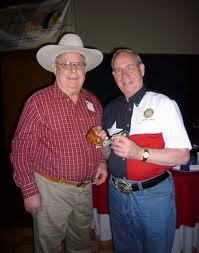 A True Texas Gentleman, Robert Pruett was born and raised in far West Texas. He attended high school in Marfa and college at Texas Tech University. He often followed the rodeo circuit, riding in all events. Several of his family members were in the production of Giant acting as stunt doubles and bit players. Robert himself was in close contact with some of the actors. bar-b-cue to the guests that Bick (Rock Hudson) and Leslie (Elizabeth Taylor) invited. He had one line and was paid $75." "Yes, brothers Clay and Bub Evans--two of my cousins--both doubled for her. They wore female clothes to look like the actress and rode bucking horses. I guess they did a good job." "No, that horse was shipped from Hollywood. They had to use horses that were on a list the movie people used. They used another bucking horse for the wild ride out on the range." "Yes, I went rabbit hunting with James Dean. We were both young men. He drove wild, and damaged the car out there. He shot at the car and accidentally hit the transmission. We had to walk 5 miles in the dark to get back." "Yes, and I said he didn't act...he played himself. What you saw on the screen was his true character." "Elizabeth Taylor and Rock Hudson stayed in separate private homes, which were turned over to them." "They were--on a soundstage in Hollywood." Robert Pruett is an artisan and craftsman of handmade spurs. He began making spurs as a young man in high school. In recent years, he began to make spurs that were works of art. He sold them at Western Heritage Shows. In the eighties, he began to make them full-time, taking custom orders. Some of his work is featured in a coffee table book, titled Bits and Spurs--Motifs, techniques, and Modern Makers. 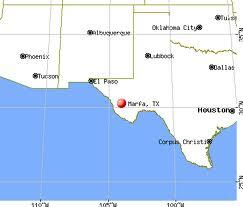 NOTE: Robert said that many citizens of Marfa appeared in the movie. Each was paid $50 a day. 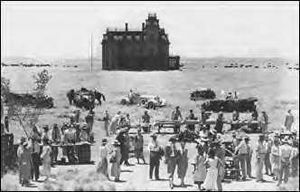 Since the area was in a prolonged drought, and the economy was very poor, the making of the movie Giant helped boost the entire town's economy and provided much needed jobs for the locals. I never liked the song much, Tie a Yellow Ribbon 'Round the Old Oak Tree, but that doesn't mean I can't sing it at will all these years later! These days, I see frequent reminders to pray for our troops on yellow-ribbon car magnets. But not until a recent visit to Old Sacramento, California, did I learn the origins of the yellow ribbon. For almost 150 years, displaying a yellow ribbon is a sign of loyalty to family, friends and loved ones far away from home in difficult situations such as war or captivity. 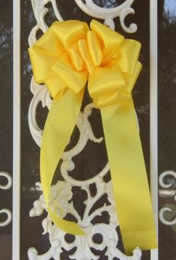 According to legend, the custom of a yellow ribbon showing support for a loved one far away began during the Civil War. At this time, the United States Cavalry wore yellow piping on their uniforms. Women who were married or promised to a Cavalryman wore yellow ribbons while waiting for their soldiers' return. Supposedly the practice kept prospective suitors at bay as well as warned of reprisal by the soldier if his lover was harmed. Another version of the custom traces its origins to the horrific Andersonville Prison. 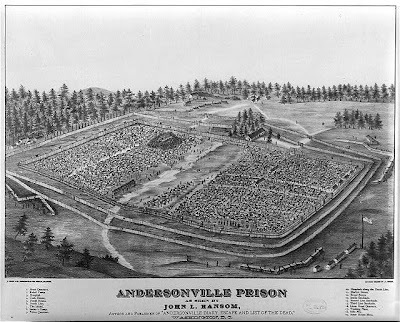 Officially known as Camp Sumpter, Andersonville was one of the largest, most notorious Confederate prison camps. During its 14 months of operation, more than 45,000 Union soldiers were confined, 13,000 losing their lives from disease, malnutrition, overcrowding, and exposure. Supposedly a member of the Ninth Ohio Cavalry who had been a Confederate prisoner there for several years, wrote to his wife with the suggestion that, rather than wear her ribbon, she tie it to a signpost near the train station so he could see it upon his return. The tale soon became part of Civil War lore. She wore it in the Springtime and in the month of May. She wore it for her soldier who is far, far away. During the 1991 Gulf War and following 9/11, the yellow ribbon symbol has gained widespread popularity as it sends our service members the message that they are never far from our hearts. Sincere thanks to the Old Sacramento School House Museum for this information. James Frey in THE KEY: How to Write Damn Good Fiction Using the Power of Myth tells how to build a hero. He lists the time-tested qualities a hero should have and suggests that leaving out a few of these qualities is a kin to leaving out a few spark plugs when you do a tune-up on your car. On the other hand, there is more to a hero than mythological motifs and heroic qualities. Frey’s list of myth-based heroic qualities are listed on pages 46-47 of his book, followed by a brief explanation. I’m going to make the explanations even briefer, but based on what Frey wrote. 1) Courage – readers are repelled by a hero who lacks courage. 2) Cleaver and Resourceful – he does not need special knowledge. “In fact, it often helps the story if your clever and resourceful hero is lacking in the specific skills required by the situation.” A fish-out-of-water sort of thing. 3) Special Talent – it does not necessarily have to be used in the course of her mission. Examples, according to Frey: photographic memory, psychic powers, tossing horseshoe ringers, picking winners at the track, growing prize winning flowers, shooting an arrow with amazing accuracy, talents of deduction to solve a crime. 4) Is an “outlaw” – he plays by his own rules, not society’s. Examples: Colombo, Scrooge, Michael Corleone, McMurphy (One Flew Over the Cuckoo’s Nest). If you don’t want an extreme ‘outlaw,’ he only needs to be rebellious. 5) Good at what she does for a living – Scarlett O’Hara’s job at the beginning of Gone With The Wind is to attract beaus and she uses her charm to achieve her goal. 6) The hero is the Protagonist – he takes the lead in the story. 7) Has been wounded – the wound can be physical, psychological, spiritual, or social. She is maimed, disgraced, or lost a loved one, for example. Anything to cause suffering…the hero needs to suffer. 9) Sexually Potent – Yeah, need I say more? 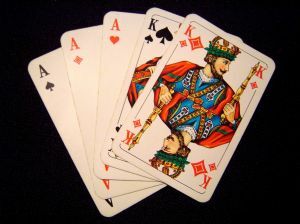 11) A Flaw – though if he has a wound, a flaw isn’t really needed. This is the inventory to get you started on creating your hero. How will you use it to attract readers? The west was won by the ingenuity of the people who moved west and found ways to make their life easier. One such form of ingenuity was the ever changing gunleather. 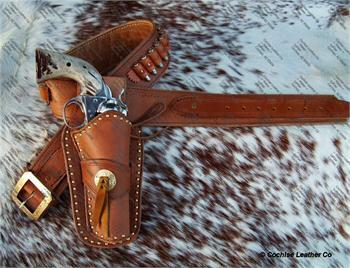 The first gunleather used in the west originated in European military. It was the pommel bag. This was made commercially and sold to the military. It was the easiest way to carry the large-bore, single shot handguns the frontiersmen used for hunting and protection. It's believed the pommel holster was developed during the California Gold Rush and used by Wells Fargo agents. As the revolving cylinder handgun was developed the sidearm belt holster became popular. The pommel bag remained popular to carry an extra gun, ammunition, and hard tack. 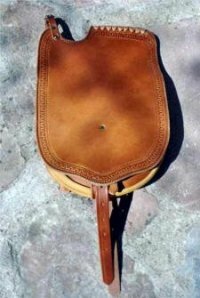 It was easier to reach in the pommel bag than dig in a saddle bag on the back of the horse. According to period photos the belt holsters began showing up in 1840. The holster held the smaller single-shot pistol, pepperbox, and revolvers. Gun leather was made by eastern manufacturers and brought west by the settlers and immigrants. The belts were considered a specialty item made for the smaller more expensive handguns. The eastern products weren't tough enough or built to function as well in the western lifestyle. By 1850 saddlers began making holsters. They followed the eastern patterns but enhanced them to fit the western lifestyle. The other popular holsters were hip pocket and shoulder. When towns became "civilized" in the mid to late 1800's the townsfolk didn't want visitors "packing iron". Towns passed ordinances against carrying firearms in town. This was when the hip pocket and shoulder holsters became popular. They could conceal a handgun in a pocket or under a duster. The hip pocket concealed a small derringer in a pocket making it readily available. This holster was more common in the east than the west. The shoulder holster held large caliber handguns. The holster held the gun close to the body, concealing it under a coat or duster. This type of holster was widely popular in the west and appears to have been developed around 1870. It hung under an arm in a vertical position with an oval-shaped shoulder loop. There were three types. The "Texas" developed by Texas shooter Ben Thompson. Then in 1890 a new version with a full back and closed toe was developed to make the draw faster. In the early 1900's a new design called the Half Breed came from the best of the other two versions. Thank you for the opportunity to post on Sweethearts of the West. I just returned from a two-week vacation to Yellowstone National Park, so I would like to talk about the birth of something that I feel is of great importance to our nation, and also the entire world – namely the birth of the national park idea. The nation’s (in fact, the world’s) first national park, Yellowstone National Park, was signed into law by President Ulysses S. Grant on March 1, 1872. If you’ve ever been to Yellowstone, and sat at one of the Ranger campfire programs at Madison Junction, the ranger will almost always point behind him or her, to a tall mountain across the valley. The mountain is named National Park Mountain, and legend has it that this is where the national park idea was born. 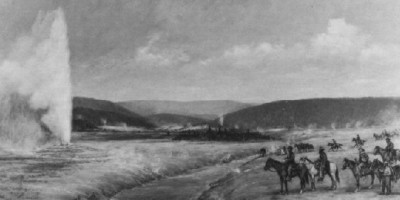 It is said that Henry Washburn, Nathaniel Langford, and Cornelius Hedges camped in the valley just beneath the mountain during their expedition through the area in 1870, and came up with the grand idea of preserving the wonders they saw – the geysers, hot springs, canyons, rivers and lakes – for everyone to enjoy for generations to come. They wanted the area set aside as a nation’s park. Whether this conversation actually occurred, and in that precise location, is up for debate, but it makes for a nice campfire story. So what did lead to the birth of the national park idea? Over the years, more fur trappers entered the Rocky Mountains, and more and more reports found their way back to civilization of a place with boiling mud, steaming rivers, and petrified trees. These fantastical stories were believed to be just that – men’s tall tales who had been in the wilderness too long. In 1856, mountain man Jim Bridger reported observing boiling springs, spouting water, and a mountain of glass and yellow rock. But since Bridger had a reputation as a “spinner of yarn,” his reports were also ignored. The first detailed exploration of the Yellowstone area came in 1869, when three privately funded explorers trekked through what is now the park. 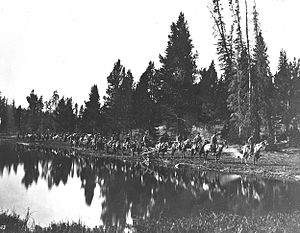 The members of the Folsom party kept detailed records and journals, and based on their information, a group of Montana residents organized the Washburn/Langford/Doane Expedition of 1870. Henry Washburn was surveyor-general of Montana at the time. 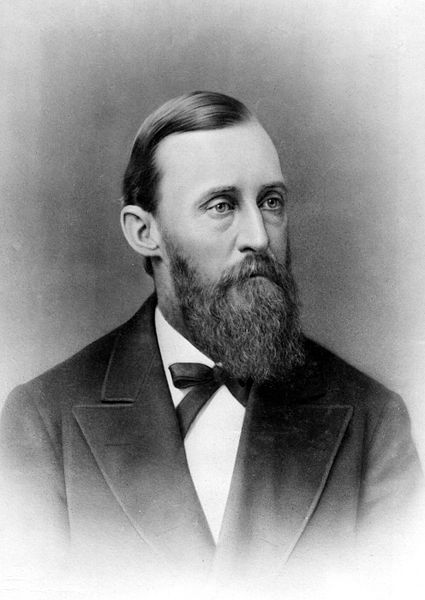 In 1871, Dr. Ferdinand Hayden, a geologist, organized the first government sponsored exploration of the region. The Hayden Geological Survey of 1871 included numerous scientists, as well as photographer William Henry Jackson, and artist Thomas Moran. Together, they compiled a comprehensive report on Yellowstone, which helped convince Congress to withdraw the region from public auction. The Act of Dedication Law was signed by the President Uysses S. Grant on March 1st, 1872. I love Yellowstone - it’s beauty, diversity, and history. There is just no place like it on earth. It’s what inspired me to write my current series, the Yellowstone Romance Series. Book 3, Yellowstone Awakening, is my fictional account of events that would have prevented the national park form becoming a reality. I would like to share an excerpt from the book. For my research, I read the congressional transcripts of the debates about the park. The names of the senators mentioned in the excerpt, and their opinions (not taken verbatim) are historically accurate. A tender, heartfelt love story . . .
A man willing to risk everything, including his life and all he’s worked for, to free the woman he loves from an impossible situation. Kyle Russell has worked with prominent men, led scouting expeditions through the Yellowstone country, and irritated more than a few Indian braves, but he will never duplicate his father’s legendary accomplishments. Captured by a group of Crow warriors, his plans of escape are derailed when a lone white woman is brought into camp. Kate Ellen Devereaux is on the run. Her guardian is dead, and she is lost in the Yellowstone wilderness. Found by an Indian war party, she is brought into their camp and thrown at the feet of a white captive. If he has plans of escape, she won’t be left behind. Kyle’s father may be a legend in the territory, but he never had to deal with an eastern lady full of secrets, a woman who disrupts Kyle’s plans to see the Yellowstone area turned into a national park. Convincing her that they are destined to be together may be a greater challenge than gaining support for the park movement. Kate can’t afford to show interest in any man, regardless of her growing attraction to her backwoods rescuer. Will her ultimate reason for rejecting him spell doom for their growing love, and the national park idea, or can Kyle find a way to rescue both? “There is no industrial value to an area such as the Yellowstone, except for pleasure seekers,” Senator Cole continued. Kyle recognized Senator Walter Trumbull, the senator from Illinois, who had listened with great interest to Kyle’s accounts of the area several days ago. Kyle smiled. Cole seemed visibly shaken by Trumbull’s words. It was time to make an impression. He pushed himself away from the wall he leaned against, and slowly walked down the aisle that separated two sections of chairs. Heads turned, and men murmured as he reached the front of the room. Dressed in fringed buckskins, a faded blue cotton shirt, with several leather pouches hanging off his neck and shoulder, his hunting knife and tomahawk hanging off his belt, Kyle knew he made quite an impression on these refined easterners. Most of them had probably never been more than twenty miles from the nearest big city. Langford had told him he would draw attention this way, and that was the intent and purpose. “I’m here by invitation of Senators Trumbull and Pomeroy, and Mr. Nathaniel Langford,” Kyle spoke calmly. Trumbull moved forward to shake his hand. “I’m glad you were able to make it, Mr. Russell.” He, too, scanned the room. “May I present Mr. Kyle Russell, a man who has lived in the area called the Yellowstone region his entire life. He is a knowledgeable scout and interpreter of the area. He would like to share some of his thoughts about preservation of the land.” The burly senator with his graying mutton chops held out his hand for Kyle to shake. Kyle felt, rather than saw, Senator Cole stare at him. Kyle turned to face his audience. All eyes were on him, some expressing keen interest, others annoyance. He held each man’s gaze briefly, before he started speaking. Kyle paused, observing many of the men nodding their heads in agreement. He glanced briefly at Senator Cole, standing off to his right, then searched out the other members who pledged to vote against the park idea for a share in the profits promised to them by Hiram. The senator Kyle stared at wiped at the sweat on his forehead with a white handkerchief. Kyle enjoyed watching the man squirm. It was time to delivered his final punch. I never thought I'd be a writer, much less publish a book some day. I always wanted to be a veterinarian. I guess life just had other plans for me. When my husband and I decided to start a family, vet school pretty much went out the window. I used to work with a vet who had three children while going through vet school. To this day, she is my hero. I live with my husband and two teenage sons in southern California. I have a Welsh pony and a miniature horse (down-sized from a barn of six horses). A crazy Labrador retriever who is a food vacuum, three cats, a Holland Lop bunny, two parakeets, three bearded dragons (my compromise with my sons when they wanted a snake), and a small flock of chickens complete our menagerie of critters. I can’t imagine my life without my animals. My dream is to live in Montana some day. Three years ago, I began writing a story that, for whatever reason, was stuck in my head for almost a year. I have been an avid romance reader for a long time, and the idea took hold to - why not? - write my own! What a simple idea, right? It has been a long and difficult journey from my first sentence to a completed, and hopefully polished, manuscript. 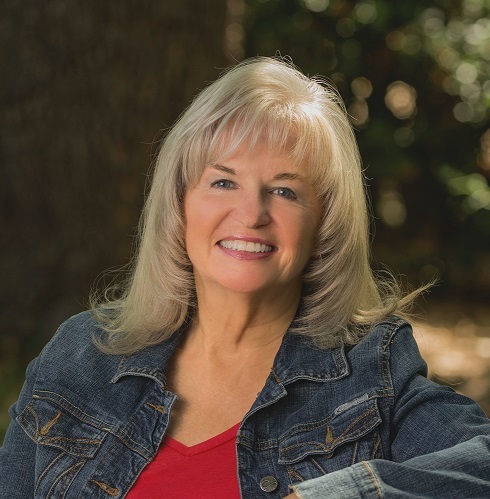 Today, I have a completed series of 5 books in what I called The Yellowstone Romance Series, and I am currently working on my newest two books, one set in the Grand Tetons, the other along the Oregon Trail of 1841. 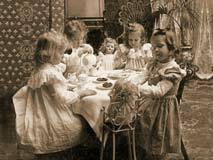 While doing research for my new holiday novella, I came across a list of etiquette rules for the Victorian Era child. Since my heroine, Madeline is forced to deal with her brother’s spoiled children on a daily basis, I thought I’d mix the rules of proper behavior with bits from a scene in the nursery. Talk in a low even voice. screeching reached her ears. She sighed. This would not be a story-and-a-quick-kiss sort of night. Always greet members of your family when entering a room. “Oh Miss,” Molly cried as Madeline pushed open the door. Toys and books lay scattered across the area rug. Alex was jumping on his bed, and little Penelope sat in the middle of the floor screaming. Never argue with your elders, they know best. “Alex, do not argue with your elders. Never run up and down stairs or across the room. “She wants to go to Mother’s party.” Alex explained as he continued to bounce up and down. Beneath his bare feet, a crater-like indentation had formed in the center of the horsehair mattress. Never whine or frown when spoken to by your elders. “Penelope, you are too young to attend the ball, and all the tears in the world will not change that.” The little girl snuffled and looked up, her lower lip protruding in a pout. Do as you are told in a pleasant and willing way. Molly steered the little girl away from the dress toward the wash basin on the other side of the room. Madeline wasn’t sure what happened, but the next moment Molly cried out, and Penelope began shrieking. “She bit me!” Molly cupped her wounded hand to her breast. Never talk back to older people, especially your mother and father. “I never touched the child.” Molly exclaimed. Keep yourself clean and neat looking at all times. Never contradict anyone under any circumstances. It is very impolite. Madeline stiffened as though she’d been slapped. She bit her lip against the pain. They weren’t close, but she never imagined her brother would betray her like that with a child. She slipped her hand into the pocket of her gown and removed her spectacles. Hooking them behind her ears, she pushed aside the hurt and stepped toward the boy, her hands on her hips. He glared at her defiantly. “You can’t do that,” he declared though a shadow of doubt crossed his features. A rapid knocking sounded on the nursery door. Madeline glanced toward Molly, who hurried past her to answer it. “It won’t matter. I am leaving.” She watched Alex wrestle with this logic even as she wondered why she was arguing with a six year old. Waving both hands, Molly urged Madeline to come quickly. Her heart skipped with excitement as she hurried across the room. James had arrived. Blurb: After a magical waltz in a winter wonderland with the only man who has ever made her believe she is beautiful, Madeline Winthrop doesn't think life could be anymore perfect--until the night of the Christmas ball when she learns everything James Sullivan has told her is a lie. Revenge against Madeline's brother forces James to do what ever is necessary to get back what was stolen from him, even if he has to use Madeline to do it. But the one thing he doesn't count on is the way she makes him feel.